It’s amazing how much damage wind and hail can cause to your home. Your roof is the first line of defense between your family and the raging storm outside, so it’s important to have an experienced roofing installation team on call when you need reliable roof storm damage repair. With over 75 years of experience, Walker Roofing has built up a fantastic reputation for providing the best roof hail damage repair in St. Paul, Minneapolis and other surrounding cities. You can count on us to do the job right the first time, every time. 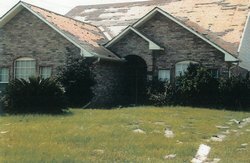 When it comes to hail storm damage repairs, Walker Roofing has had many years of experience working with insurance companies. Our process begins with a full damage assessment with one of our salesmen. You will then need to contact your insurance company to set up your claim. We can meet with you and your insurance adjuster to discuss the damage and prepare a damage report. We are always available to answer any questions your insurance adjuster may have regarding the damage. We work with many insurance companies and have a solid reputation for handling Minneapolis roof storm damage repairs and returning your property to a pre-damaged condition. We receive referrals from many well-known insurance companies and are listed as an approved contractor of choice. We are able to take care of your roofing, siding, soffit, fascia, and gutter work all within one claim and with one contractor. This will resolve the frustration that homeowners have when scheduling and negotiating with multiple contractors. My insurance rates will go up if I turn in a claim. Usually when a storm hits, it affects a large enough area that the rates go up for the entire state and yours will go up whether you turn in a claim or not. Don’t be stuck with higher rates and damage that goes unfixed. I have to get three estimates and go with the lowest estimate. You are not required to get three estimates for storm damage repairs. Just because you have insurance money does not mean you have to go with the lowest or cheapest estimate, in fact you can determine who you want to perform your roof repairs. It doesn’t matter who fixes my roof after a storm. During storm season, many companies come into an area temporarily as “storm chasers.” They work an area after a storm, then leave to go on to the next storm area. Many of these companies repair roofs as fast as they can before moving on because they will not be here to call for warranty work and/or service calls. A leaking roof needs to be addressed quickly in order to prevent further harm to your property. That’s why Walker Roofing offers 24-hour emergency roof storm damage repairs. We will accurately pinpoint the cause of the problem and fix it fast so you can get back to your busy schedule. No roofing company in the Greater Twin Cities area provides better roofing services, so contact Walker Roofing today! For reliable roof hail damage repair in St. Paul, call 651-251-0910!